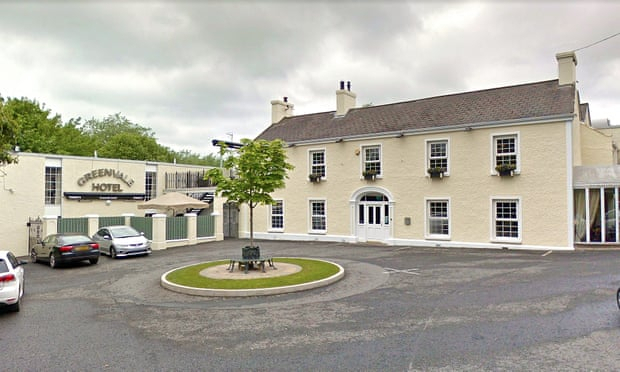 Two people have died and others have been taken to hospital amid reports of a crush at a hotel in Cookstown, Co Tyrone, the emergency services have said. The Police Service of Northern Ireland (PSNI) said there were a “small number” of other casualties following the incident. Two people were being treated in hospital. One was in a critical condition and the other was stable police said. Police had urged parents via Twitter to pick up children attending a St Patrick’s Day event the venue had been hosting. “My two boys were there so I rang them, shaking and thankfully got them both,” she said. “They were on their way home at that stage. They say there was a huge crowd waiting to get into the venue and then a lot of commotion up near the front of the queue, then they said the emergency services arrived and they were all asked to leave. The incident at the Greenvale Hotel on Drum Road happened at about 9.30pm. The Northern Ireland ambulance service (NIAS) said they had received several calls on Sunday evening following reports of people having sustained serious injuries. The Democratic Unionist party leader, Arlene Foster, tweeted that her “thoughts and prayers” were “with everyone impacted by this tonight”.